Many SUNY New Paltz alumni remember their first business trip as young professionals, but few can relate to the intense travel and unparalleled opportunity that led Casey Silvestri ’17 (Journalism) to South Korea for the 2018 Olympic Winter games this February. 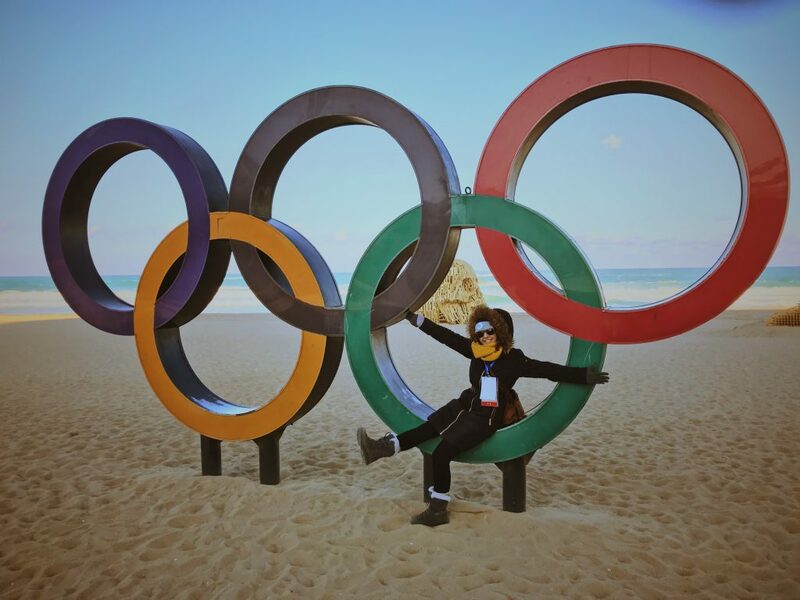 Silvestri was brought on this once-in-a-lifetime journey to work for NBC News at the IBC (International Broadcast Center) in PyeongChang, where she researched athletes, cut competition footage and prepared Snapchat segments for air. She also helped coordinate and film interviews with over a dozen athletes like Shaun White, Chloe Kim, Adam Rippon and more. When she wasn’t at the IBC, Silvestri was assisting on shoots in the field for different segments on South Korean technology and culture. Silvestri recognizes her journalism and Honors classes at the College for bringing her research and writing skills to the level necessary for her current profession, where she says it’s all about telling a good story. 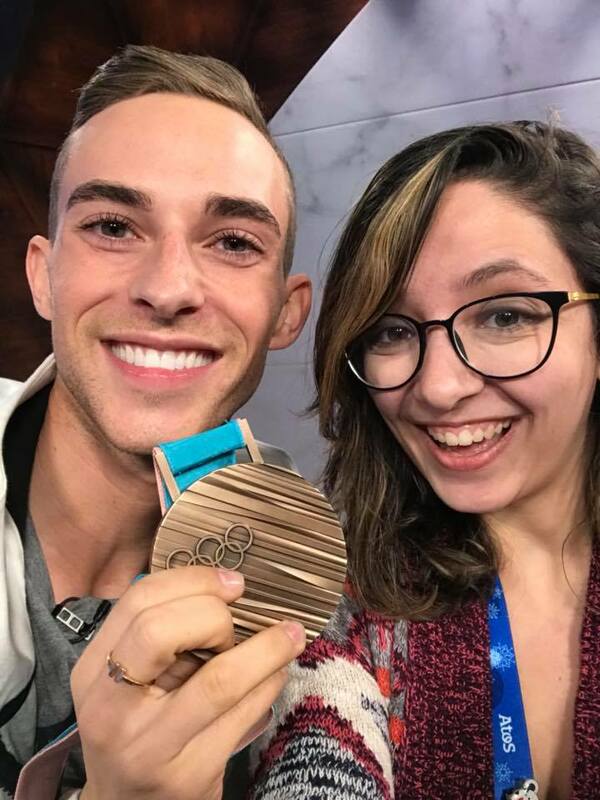 Silvestri with American figure skater, Adam Rippon, 2018 Winter Olympics bronze medalist in the team event. Silvestri began as an intern for NBC News two years ago and now works full time to bring the network’s voice to social networking platform, Snapchat. NBC News was the first daily news show on the app when it launched last summer and the network now has more than 25 million unique monthly viewers. Silvestri’s self-produced video segment about what it was like working for the 2018 Olympic Winter games previously aired on NBC’s Stay Tuned.